Ana (36) gives birth in a local hospital and everything goes well. There is only a small, bureaucratic problem: Ana is not on the computer files. It must be a software glitch, nothing serious. After a few days, Ana is entangled in a web of Kafkaesque proportions: Not appearing in the computer means no social security, no permanent address. Ana is suddenly a foreigner, even though she spent all of her life in Slovenia. Legally, she doesn’t exist. So, her child is an orphan. And orphans can be put up for adoption. *On 26th February 1992 the Interior Ministry of the Republic of Slovenia erased 25,671 of its own nationals. The majority of those erased still have no legal status. Miha Mazzini is a writer, screenwriter and film director. He has published thirty books, translated into ten languages. 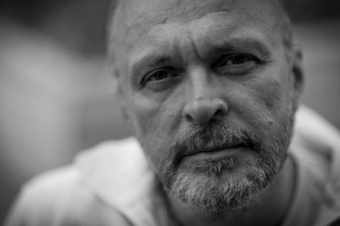 He wrote the screenplays for the feature-length films Sladke sanje (2001), winner of the Golden Palm Tree for Best Film at the Valencia Mostra, and Operacija Cartier, recipient of the European CIRCOM Award for Best TV Film in 1992. He has also written and directed five short films to have garnered awards at different festivals and one documentary for television.